The best part of what I do is trying new beer and sharing the experience with you. Even better, trying a beer I’ve been holding for a long time, trying it for the first time, and sharing the experience. 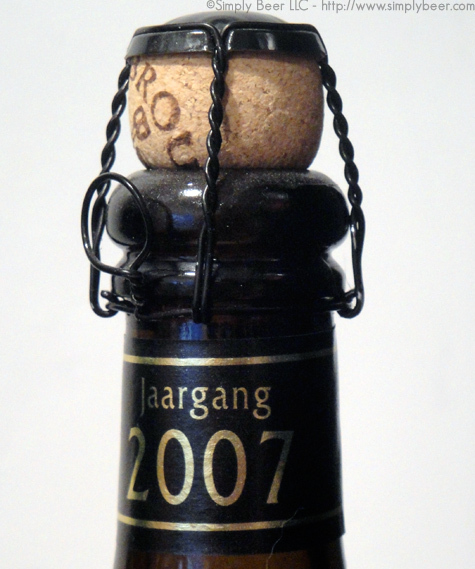 Tonight, that new experience will be a 2007 Gouden Carolus Grand Cru of the Emperor. This beer is only brewed once a year in Mechelen Belgium and every year it is slightly different. Every year on the 24th of February, the birthday of “Charles the fifth”, the Brewery brews the Gouden Carolus “Cuvee of the Emperor” in a limited quantity and with an eye on the highest quality and tradition. This unique brewing, with only extra fine Belgian hops and with a higher alcohol level, guarantees a better evolution in the time, than the already known Gouden Carolus. This beer, as all our beers, is 100 % natural, with no preservatives, no adjuncts and no chemicals. I thought this beer was going to foam right out the top, but I caught it. So no mess for me to clean. As you can guess from the near foam over, this beer is highly carbonated and pour with a good thick speckled sandy head. The beer is a hazy reddish brown with lots of tiny bubbles slowly rising to the top. I could smell this beer as I was pouring it out of the bottle. A very heavy aroma of ripe plums and raisins greats your nose which expands into bananas, chocolate and licorice. There is no holding back in the aroma with this beer. The intensity of this beer doesn’t stop at aroma. 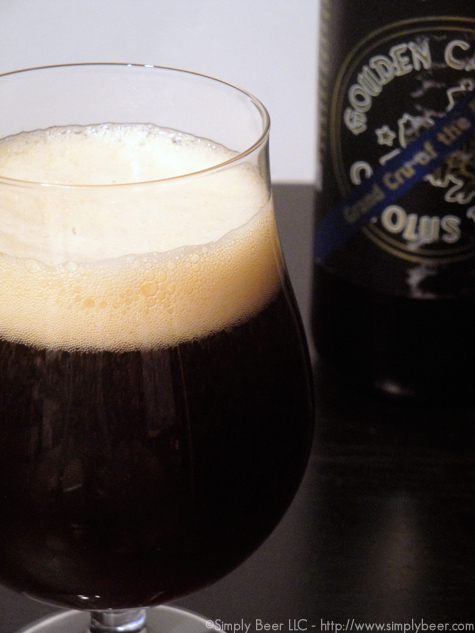 This is a very warming beer with a full palette of complex flavors. Right off the bat you are hit with the alcohol and yeast as well as the intense fruitiness of the beer. That doesn’t go away in this beer. The alcohol heat actually continues to build and the fruitiness turns into a sherry like quality as notes of chocolate begin to creep in the middle of this fairly full bodied beer. As the beer finish, the heat from the alcohol is a dominate player and that sherry flavor becomes more of a raisin and muscat sweet wine like flavor. Sounds yummy, Peter. I’ve only tried the Christmas beer from this brewery, but it was really good and has me looking out for their other stuff. Is this beer intended to be aged a bit, or is it something you decided to hang on to? Always like this one. A little different from year to year, but it never disappoints. Big, bold and Belgian. Hard to go wrong with that. So good you let it cellar for quite a spell. Not sure I’d have the patience!